Work is work, and we all must do it. But at itas, we believe that it’s not just work. We know that we are making a difference to companies and that we are respected, it’s because of this that we know the importance of keeping staff morale super high in our office. Here are our top tips for making sure that the mood and the productivity in your office stays at an all-time high! Birthdays, Anniversaries, New Homes, New Babies. Every day our lives change and develop and progress. In your business, let your staff know that you embrace and celebrate these changes! 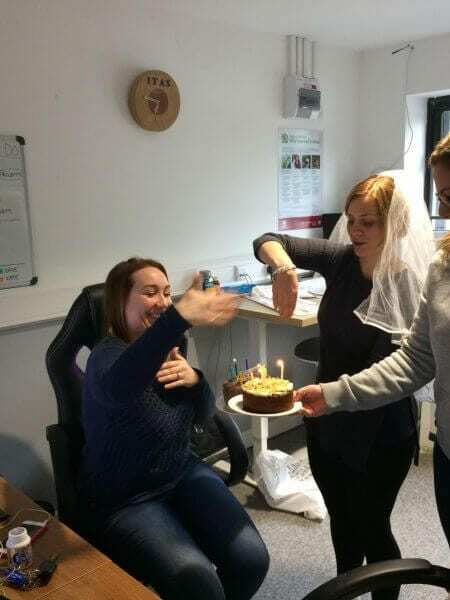 Bring in a cake for a staff members birthday, even a card for an anniversary will make your staff feel as though you care, which you should! Moral is about more than just making people happy, it is showing genuine care for those who dedicate themselves to you. Furthermore, make note of when you hit an anniversary within the workplace. 5 years since the business started deserves recognition! Organise a small gathering after work, or if the company has really taken off then make a big deal out of it! If your staff can see that you are passionate about what you do, that it’s not just work to you but rather a way of life – this will influence their view on the business too. Everyone wants to be a part of something that is positive and affirming of their work. Respond to individual achievements too! Someone has brought in a grand total over the time that they’ve been with you! Praise is infectious! 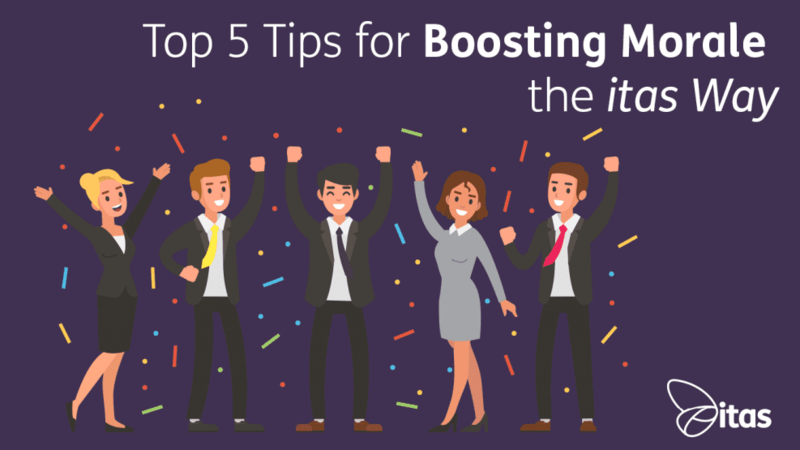 This is a huge part of boosting morale in the workplace, people are choosing to work for your company which is massive so let them know that you are super happy to have them there. It just has to be a little chat every now and then, maybe a ‘well done’. You may have a company that has a huge number of employees and it might be physically impossible for you to get to know them all on a personal level and if this is the case, ensure that at least their line manager knows them inside and out. There’s nothing worse than working in a place where you don’t feel like you have a positive value for the company. No one wants to come to work to do the mundane, they want to do well for you so ensure that you want to do well for them too! Why not take some time out to hold meetings with each of them every month? It’s a small price to pay to keep your team happy and moral high. With all this productivity in the office, it’s really important that we also learn to switch off. In our modern day, work can be all encompassing and if there is no break then we seem to see our co-workers as fellow cogs in this world of corporation with no second-thought for doing anything other than work. Instead of fearing the slip into this dulcet and quite frankly boring work environment, organise days out doing something that would help team building. 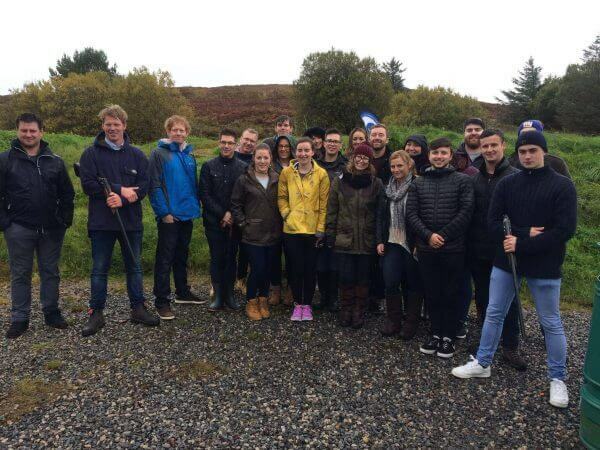 This year at itas we have planned to go clay pigeon shooting, to a comedy club and a high rope climbing course! You need to ensure that you’re catering for all staff members, and the best way to do this would be to run through some ideas with them! In a staff meeting, leave a little bit of time at the end to put forward some options for the next staff event. These events can really help you to bond as a business and create memories that can then be accessed when you’re sitting in the office and perhaps not having the best day. Everyone needs to switch off, so why not do it as a team? If staff know that they can come and speak to their manager if they have a problem then they’re onto a winner. Respect should be a foundation block of any business and without it, you’re unfortunately going nowhere! Think about working for someone who isn’t interested in knowing how you’re doing or what’s going on in your life. It doesn’t fill you with excitement to help them build their business, does it? Get rid of your staff. No, NO! Not permanently! Like I said, with you promoting all this morale and productivity, people are going to be working hard. Harder than you will have seen before. It’s integral to the wellbeing of your business that you switch off. Send your staff home if you’ve seen that they’ve over worked or at least pay them for the extra time. On a Friday, have a little fun and dress casually! Offer an early finish or a late start based on whether you have reached targets or not – just make sure you still have someone to answer the phones! Loosen the reigns every now and then and make sure that you all have some time to breathe and unwind. Unleash your inner child and let people know that work doesn’t have to be something that you dread on a Monday morning. Make it somewhere that people love to be because they feel valued and remembered and treated well. That’s a good place to work.